GAT Supplements SAVE up to $50!! Deal Categories: Protein Powder, Pre Workout Products, BCAA, Fat Burners and Energy, Minerals and Vitamin Products, and Vitamin Shoppe Coupons.Stores: Vitamin shoppe. to shave another 10% – 20% [Everything in your cart – not just GAT]. 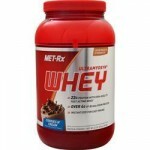 This Met-Rx 100% Ultramyosyn Whey (2LB/Strawberry) listed for $45. Now $13 at All Star Health. This is the best total price we saw by $6. Details: Exp: 5/19. 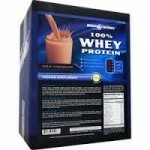 BODYSTRONG 100% Whey Protein Isolate (5lbs) which retail for $212, drops to $77.99 at All Star Health. during checkout and bring it to $72.99 (‘click the ‘apply gift card’, put in the code and get back to your cart). Available in 3 flavors for this price. The price on the 5LB Ansi Whey 25, in 4 flavors, drop from $68.99 to $33.99 to $27, with coupon code DPS10 during checkout at DPS.